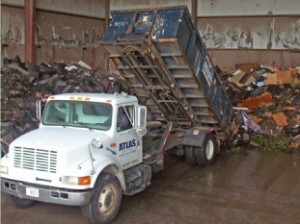 Thank you for visiting Atlas Disposal. You’ve come to the right place for prompt service, accurate placement and affordable dumpster rental in Bartow, Cherokee, Cobb, Forsyth and Paulding. We limit our geographic area so that we can provide you with great service. You will notice a difference because we have been in the dumpster rental business since 2001. 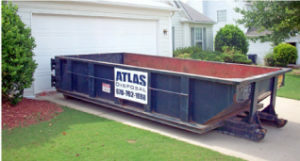 We have a variety of dumpster rental sizes; 10, 12, 16, 20 and 30 yard. Most homeowners wanting to dispose of household junk will get by with a 10, 12 or 16 yard to de-clutter an attic, basement or house. Large construction projects will typically benefit from a 20 or 30 yard dumpster. We also haul and service compactors for apartments and industrial applications.